And now I can say with cool confidence, you can judge a book by its cover, and I COULDN’T PUT THIS BOOK DOWN! For those keeping track, the last book I couldn’t put down was Ron Rash’s Serena. I ransacked Miller’s debut tale in record time over the three-day Memorial Day weekend. There’s nothing mind-blowing or revolutionary about Miller’s book, but like its cinematic cousin, Mud, which also contained a strong Huck Finn motif, it represents good old-fashioned storytelling bravado: Simple. Layered. Sympathetic characters with complete and satisfying arcs. Interesting setting. Good story. Well told. In Sheldon “Donny” Horowitz, Miller gives us a classic literary character. Sheldon is a watchmaking, sharp-shooting (both with guns and with cameras) Korean war vet from New York who has outlived all of his friends, his wife, and most tragically his son (a victim of Vietnam). He’s riddled with guilt…guilt over not being old enough during WWII to fight in Europe and save his Jewish brethren, guilt over an accident he caused in Korea and guilt over encouraging his son to go fight in a war that would take his life. When his devoted wife, Mabel, passes, the granddaughter they raised, Rhea, fears Sheldon will succumb to his increasing dementia and carts him off to Norway where she lives with her kind husband, Lars. At first glance Sheldon is the stereotypical Jewish mensch, but Miller places that archetype in places unknown atop thick ice worthy of plumbing the depths. It is there in this foreign Scandinavian land that clouds whatever sense of the world he once held where Sheldon finds himself in a most precarious predicament. He witnesses the brutal murder of the upstairs neighbor (a Balkan refugee and single mother) and in a rare moment of clarity or madness, flees the scene while absconding her little boy whom he is now determined to protect. Then, like Jim and Huck, they traverse the Norwegian wilds for an island of refuge of their own – with no shared language at their disposal and only Sheldon’s ghosts to guide the way. Make no mistake, though, this is serious stuff about guilt and aging and life and death. Sheldon’s arc and inner turmoil is Shakespearian in scale, and in this pulpy little melodramatic narrative where he’s rescued a Balkan orphan, he finds a shot at redemption by saving the son of another when he couldn’t save his own. If I have one complaint (and I’m sure Sheldon would want us all to have at least one complaint), it’s that Miller left me wanting more. The bulk of the 304 page novel is told from Sheldon’s point of view, though there are a few sidesteps with Rhea, with Sigrid (the female detective who seems torn from all those great Scandinavian TV shows that keep getting the reboot Stateside), and with the hapless murderous Balkan thugs. I wish Miller had delved more into Rhea and Lars and Sigrid, and the mute boy’s POV (done correctly to show the kid was more than just a plot prop) would’ve added a poignant juxtaposition to Sheldon’s theatrics. But maybe Miller is operating under the old adage that you should always leave your readers wanting more, in which case, job well done, sir. At times his writing style, the humor mixed with the profane against unfathomable and destructive 20th century historical backdrops, reminded me a bit of Kurt Vonnegut, so it didn’t surprise me to read in his acknowledgments that some of his colorful slang definitions came straight from Vonnegut. Meanwhile, with its page-turning sensibilities, cool title and trendy but whip-smart blending of genre elements, Norwegian by Night seems ripe for the picking by Hollywood. In some bizarre Norwegian dreamland, I could picture the Coen Brothers doing a bang-up job with an adaptation…A Serious Man in Fargo…I mean Oslo. Sounds like a must see…if only I could put this book down! 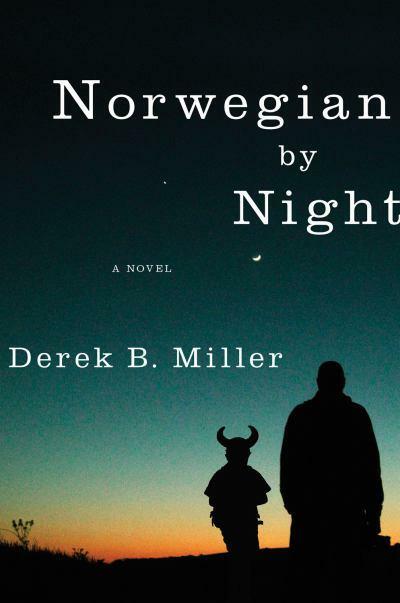 This entry was posted in Book Reviews, Books, Literature and tagged Aging, Dementia, Derek B. Miller, Norway, Norwegian by Night, Novels, Old Age, Oslo, Police Procedural, Scandinavia, Scandinavian Thriller, Sheldon Horowitz, War Veteran. It’s nice to see one author appreciate another’s work and critique it with such alacrity. Although I might not find time to pick up this book, your analysis sure does make up for it. Seriously, this would be such an interesting thing to tackle for the Coen Brothers. That’s probably wishful thinking on my part…unless…Joel…Ethan? Are you out there? Have you heard the spin? Usually the most engrossing reads are books you acquire on impulse, and I see this is no exception. Hope it is picked up for film rights. Great review, and I’ll investigate further!